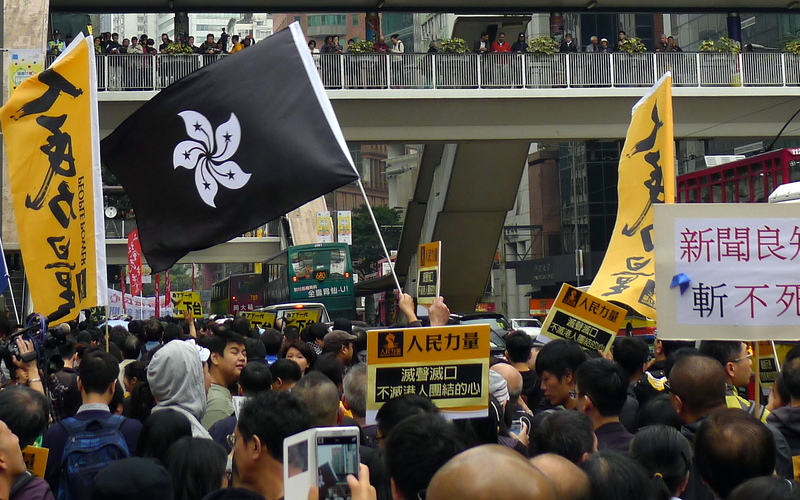 May 24, 2016 — Communications problems—including a failure to manage expectations—is one reason for the growing sense of disappointment in Hong Kong’s government. 1. We’re spoiled. Compared to the kleptocratic thugs in Mugabe’s Zimbabwe, the bureaucracy of India, or the brutal repression of North Korea, we have it good. But it’s easy to lose sight of that fact when you are not paying Swedish taxes, confronting Saudi restrictions on your freedom of religion or Singaporean limits on your freedom of speech. 2. No one else to blame. Pre-1997, we could blame Whitehall for our woes. Tung Chee-hwa was always a ringer from Shanghai. Suddenly, the people in charge are all native Hong Kongers, and the results have been less than stellar. Interestingly, aside from a few missteps (like interfering in the sale of PCCW), Beijing looks good by comparison. 3. No balance. Career civil servants run Hong Kong without the counterbalance of election-tested politicians. Untroubled by ambition, our bureaucrats’ primarily concern is collecting a generous pension. If you want to see the what happens when you depose the paper-shufflers, consider the revitalization Ocean Park has enjoyed under entrepreneur Allan Zeman, after languishing for years under a succession of political appointees. 4. No opposition. I’m sure that Long Hair is a nice guy, but someone whose political ideology can be summed up by his ever-present Che Guevara t-shirt does not constitute an opposition. A sideshow perhaps, but not an opposition. And don’t even mention Emily Lau. 5. Confucianism. Confucianism breeds conformity, not the frank exchange of ideas. Combine that with a civil service culture that values harmony above truth, and intellectual dishonesty—like Donald Tsang’s assertion that the majority of Hong Kong people support the decision to build new government headquarters on the Tamar site—becomes the norm. Unfortunately, no one in government seems willing to point out the emperor’s lack of apparel. 6. A self-selecting population. Whether we came to Hong Kong to escape cold Canadian winters or Chinese Communism, most of us live here because it is a good place to make a living. Unlike the denizens of say, Brussels, we’re not political by nature. However, as the Star Ferry clock tower incident illustrates, that may be changing. 7. Government underemployment. No foreign policy responsibility. Beijing looks after national defense. Monetary policy is outsourced to Washington. So instead of doing something constructive—like tackling air pollution or dismantling the cartels that plague Hong Kong—we pay civil service salaries (and pensions) to people running organizations like the Consumer Council, a body seemingly dedicated to reminding the public that water is, in fact, wet. 8. Unbridled condescension. Watch Donald Tsang’s body language or listen to Dr. Arthur Li hold forth. These august personages are prime examples of what happens when you start believing your own news releases. 9. Unrealistic expectations. Whenever there’s a bump in the road, like tainted food from the mainland or taxi passengers negotiating discounts, Hong Kongers take to the streets looking for either a government handout or a government solution. Unfortunately, rather than telling the population to get on its collective bike, government perpetuates this farce because it gives them something to do. 10. Pathological concern with other people’s opinions. Whether it’s the latest Heritage Foundation survey on our competitiveness or the Economist’s take on our cost of living, we have an unhealthy obsession with other people’s perceptions. Unfortunately, this colors our relationship with Beijing. While I expect my nine-year-old to be obedient, I’d be scared if he was equally obedient at 17. By the same token, we should be able to have honest differences of opinion with Beijing. Our political masters are much too smart to take offense at our views, if they are delivered respectfully. 11. The lie that we are not ready for democracy. Or that democracy will turn Hong Kong into a welfare state. Make no mistake, democracy is messy and mistakes will be made. But that’s the price that you pay. Democracy is a skill that you learn by doing, and China will ultimately benefit from our introducing it in Hong Kong. Note: This post was originally published on December 25, 2006. The photo was added on May 24, 2016.